Engine-04 arrived on scene with smoke showing from a three story twin dwelling with a person trapped on the second floor. Crews removed one person from the second floor, reported fire first and second floors. Command reported multiple lines in service. EMS transported one victim to the hospital with smoke inhalation and burns. TUSCALOOSA, Alabama — A woman slipped and impaled her leg on the fence of a friend’s apartment complex in Tuscaloosa Saturday during halftime of the Crimson Tide’s drubbing of the Florida Gators, a city fire marshal confirmed Thursday morning. According to Outkick the Coverage, the Fox Sports football blog where the accident was first reported, the woman was locked out of her friend’s apartment complex and decided to climb its wrought iron fence to get inside. The victim, whom the blog identified as University of Alabama alumna ‘Abby,’ apparently slipped and fell so hard onto the bars of the fence that one of them went straight through her leg. According to the Fox report, the woman’s friends attended to her and propped her up on a barstool until paramedics arrived. 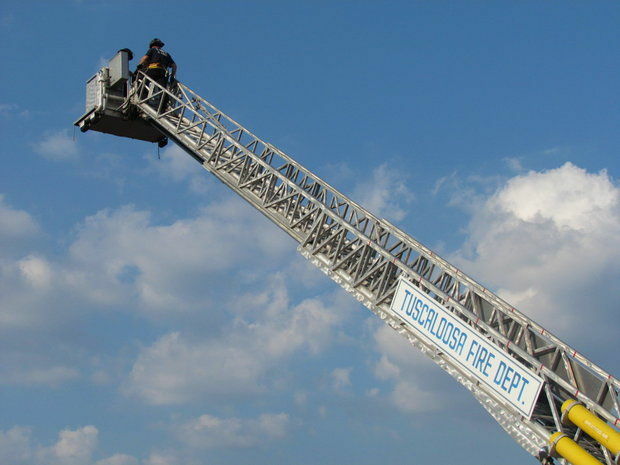 Gene Holcomb, Fire Marshal of the Tuscaloosa Fire and Rescue Service, said Thursday that their agency was called to the apartment complex on 11th Street, only blocks behind Bryant-Denny Stadium, around 4:20 Saturday afternoon. Holcomb said the responders cut away a portion of the fence and took the victim to DCH Regional Medical Center in Tuscaloosa, where the post was removed from her leg and the injury treated. Holcomb would only speak to the fire department’s involvement after the accident occurred and didn’t comment on the victim’s identity, motive for climbing the fence or her current condition, but according to the post on OKTC, she’s doing fine now. 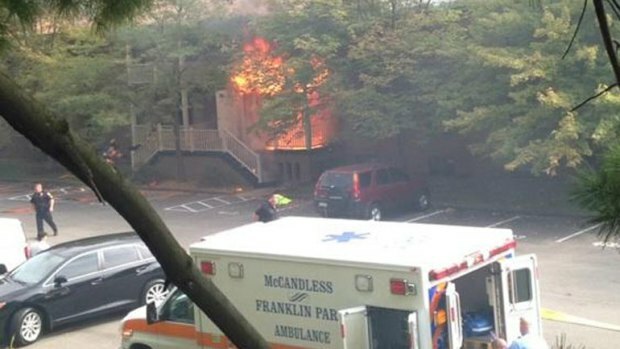 MCCANDLESS TOWNSHIP (KDKA) – A three-alarm fire engulfed an apartment building in McCandless, and one man had to be rescued from the flames. According to officials at the scene, the fire started at the Hickory Hills apartments on Haddon Place Monday afternoon. “I saw all of this smoke billowing from the top of this building here. So, I ran downstairs and watched as smoke poured from the building, and flames engulfed the bottom balcony,” witness Davina Groover said. Witnesses also said a man had to be pulled from the first floor apartment. Mike Ross, who along with several other neighbors, pulled the victim from his burning apartment, said the man initially didn’t want to leave his apartment. “The apartment was engulfed in flames, where the kitchen was at, they were trying to get Jim out, two other gentlemen trying to get him out. He was holding onto the post and didn’t want to get out for some reason, I don’t know why. I grabbed him around his torso and pulled him out,” said Ross. The victim was taken to UPMC Passavant for treatment. Gary Morgan, who lives at the complex, says people have complained to management and police before about the man who was rescued. “As far as i can tell, the bottom right neighbor, who we’ve complained about several times, lit his kitchen on fire and then this gentleman here came out screaming,” Morgan said. Police said they couldn’t immediately confirm Morgan’s story. Ingomar Deputy Fire Chief Bill Sula says while fire damage was confined to the one unit, about 15 other apartments in the building sustained smoke damage. Tenants of those units are staying at a local hotel, or with friends or relatives, at least for the time being. McCandless Police, the local fire marshal, and the Allegheny County Fire Marshal are investigating the cause of the fire. WILKES-BARRE — City fire crews rescued an unconscious man and two cats from apartments above a Pennsylvania Avenue restaurant on Wednesday afternoon, then worked well into the evening to totally extinguish the stubborn blaze. The man, who was not officially identified, was initially transported to Wilkes-Barre General Hospital with critical injuries, but was soon transferred by helicopter to a burn unit out of the area. Firefighters were dispatched around 2:25 p.m. to Goodfellas, a restaurant and bar at 316 N. Pennsylvania Ave. that has three second-floor apartments. Kathryn Pierson, who lives nearby, watched firefighters pull the burn victim from the property. The man appeared to have severe burns and was screaming in pain, she said. An update on the man’s condition was not available Wednesday night. The man was identified as Kermit Payton, 63, according to his roommates Mark Granick and Robert McLaughlin. 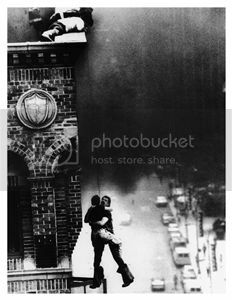 McLaughlin was able to flee the fire, escaping the blaze without having the chance to put on socks and shoes. Granick wasn’t home. The lone occupants of the other two apartments were not home at the time. 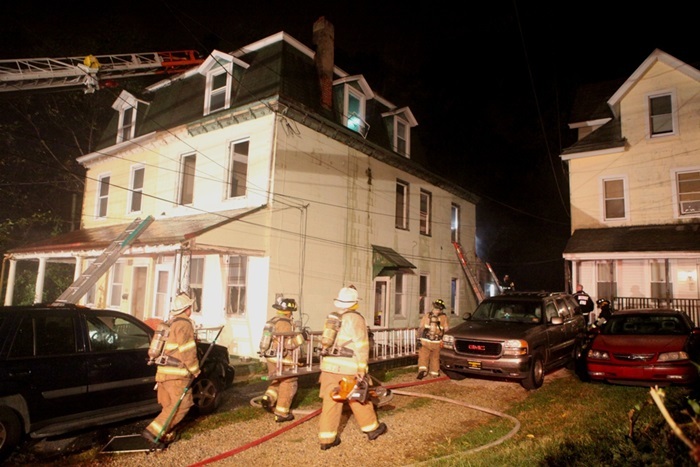 By Wednesday evening, fire crews hadn’t yet had a chance to determine a cause of the fire, as they were still trying to fully extinguish the blaze, explained Wilkes-Barre Fire Chief Jay Delaney. Early on, the roof of the building collapsed and “pancaked” to the floor below, making it impossible to get to the fire, he said. “It stuck together like a sandwich. We couldn’t get to the seat of the fire,” Delaney said. 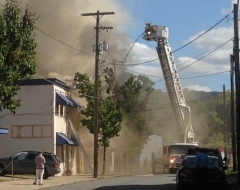 Wilkes-Barre officials were expecting to hire a company Wednesday night to bring in an excavator and tear down a portion of the building, so fire crews could fully extinguish the fire, the chief said. Michael Simonson, Wilkes-Barre’s assistant director of operations, said it was too early to tell if the building could be saved, but the plan to tear open the building to get to the fire would further comprise the building’s integrity. Fire inspectors and code enforcement officials are expected to return to the scene today. Michael Dennis, one of the tenants who was not home, said he was in the process of purchasing the building from its current owner, Robert Jabers. Dennis said he planned to convert the establishment into the Silver Top Diner, its former name, during the day and Michael’s Lounge — like the one he owns in Kingston — during the night. “All the hard work we’ve done and the planning” is lost, Dennis lamented. Dennis said the sale was expected to take place once his liquor license was approved, which was expected to happen the first week of October. Another tenant, Kelly McAdarra, 29, said she learned of the fire while driving home. Her first — and only — worries were for her cats, Icarus and Colossus. Upon arrival, she learned Wilkes-Barre firefighters rescued the cats and provided them oxygen to save their lives. One of the cats, Colossus, was taken to a local animal hospital by fire crews, while Icarus is being housed by a friend who she’ll be staying with, she said. While she lost everything she owns, McAdarra is still OK with how things turned out. It was another grueling day in the fire business, but three lives were saved, Delaney said. “Firefighters did a great job in rescuing that person and taking care of those cats,” he said. A space heater in the garage is being blamed for starting the blaze, according to a Dayton fire official. The official said the fire spread to the home and the resident was taken to Miami Valley Hospital for treatment of smoke inhilation. A tree trimming crew working in the neighborhood reported the fire, as did other passerbys. The dispatch center got multiple calls, according to the official. Witnesses tell us there were four men who scaled the privacy fence and helped get the resident out of the house. Broadmoor is closed to traffic as Dayton fire equipment and mutual aid from Kettering is on scene. 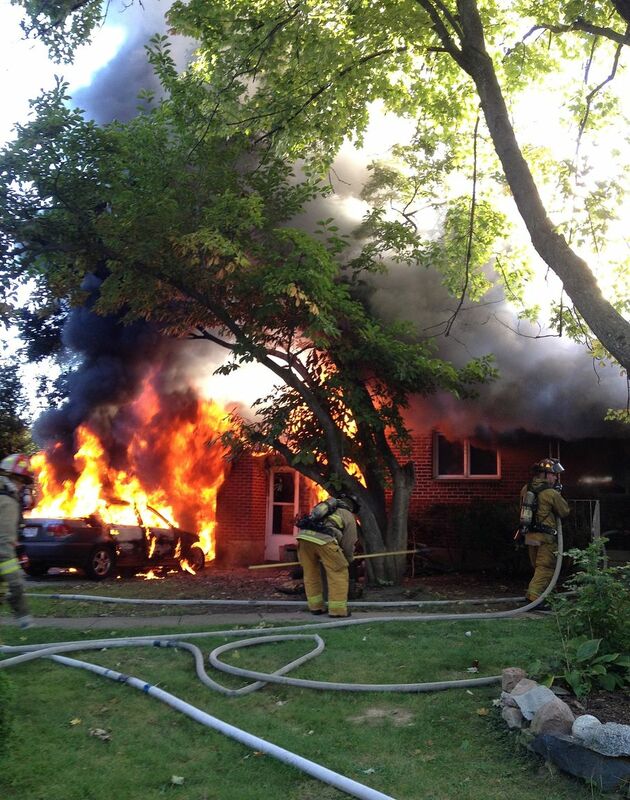 A fire has heavily damaged a Honda Civic in the driveway and a garage. The flames appear to have spread to the house as well. A witness tells us she was one of the first persons to call 911. Jillian Schroeder said she was on her way to work when she saw the smoke. Something told her to turn toward the smoke, she said, as she feared it was a house fire. Schroeder said she saw flames coming frome the house and worried someone was inside. Crews in Dayton responded to a structure fire in the 1100 block of Broadmoor Drive. The emergency call for service was made around 8:47 a.m. According to scanner traffic, at least one person required medical assistance at the scene. We have a crew en route and will provide updates as more information becomes available. 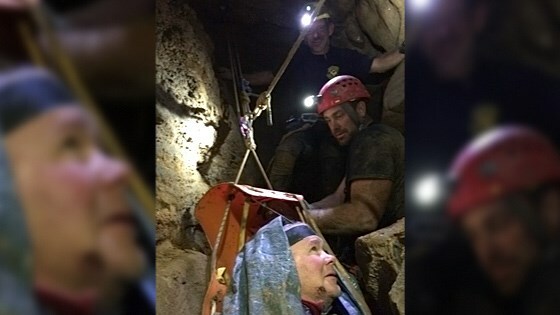 PALMER, TN (WRCB) – A caver was rescued in a nearly 10-hour rescue effort overnight, that involved rescue squads from several cities and counties. The Chattanooga Hamilton County Rescue Cave/Cliff team assisted with the rescue, which took place inside Sausage Cave in Savage Gulf State Natural Area, according to Wendy Tipton, Public Information Officer for the Chattanooga Hamilton County Rescue Service. The caver, described as a 59-year old man from Viola, TN, was working across a canyon inside the cave when he fell about 10 feet, injuring his ribs and pelvis. “Our caver fell at two o’clock in the afternoon, they didn’t initiate a 911 call until 4:30 because they were that far out in the wilderness,” said Brad Tipton, Captain of the Cave/Cliff Technical Unity, Hamilton County Rescue Team. The emergency call prompted a 10-hour cave rescue deep inside the Savage Gulf State natural area. 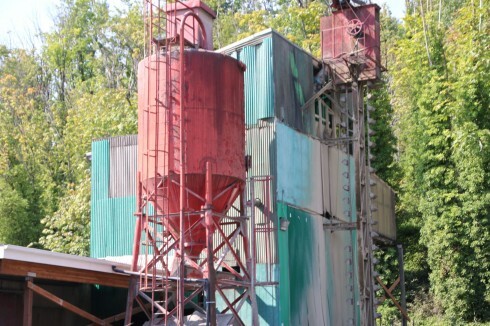 “For a couple hours we probably did nothing more than drill and break rock,” Tipton said. Once the rescue team reached the 59-year-old caver it would still be hours before he saw a doctor. The man broke several ribs and fractured his pelvic bone in the 10 foot fall, but his experience underground prepared him for what was to come. Tipton calls it a “highly technical rescue” with lots of rock fall, tight corners and cold temperatures. What makes the rescue even more incredible is all of the responders in the Hamilton County Cave/Cliff Rescue Team are volunteers. Tipton said they all have separate full-time jobs, but respond to rescue calls when a caver is in trouble. More than 30 rescuers in all assisted with the rescue, with agencies from Coalmont and Altamont Fire Departments, Beersheba Springs Rescue Squad, Walker County Cave/Cliff Rescue, Grundy County Rescue, and the Tennessee State Park Service taking part. Once outside the cave, the man was transported to a nearby hospital for examination and treatment. 11:25 AM: Seattle firefighters are at another “heavy rescue” call, this time in the 4800 block of West Marginal Way (map). SFD says it involves “man who has his arm trapped in cement mixer,” and they’ve extricated the patient. We hear from Cathy that traffic is getting by both ways; the emergency equipment is on the southbound side, so take care if you’ll be using W. Marginal in that area any time soon. 12:06 PM: Our crew reports that a 34-year-old man got his arm stuck in a cement-mixer auger; SFD used heavy-rescue tools to free him, over the course of about 15 minutes, and he was taken to Harborview Medical Center. SFD units have now left the scene; we got a quick briefing there from spokesperson Kyle Moore, and will add video when it’s uploaded. the video is above. TULSA, Okla. – A Tulsa man is behind bars after police say he purposely set his girlfriend’s house on fire while her children were asleep inside. Steven Clement, 35, was arrested on complaints of first degree arson, child abuse and child neglect. When firefighters arrived at the house in the 2800 block of Pittsburg Avenue early Tuesday morning they found an 11-year-old girl sitting on the front porch of the burning house. They also found two children outside including an autistic teen. “The problem was we had reports of children in the house,” Fire Captain Stan May said. 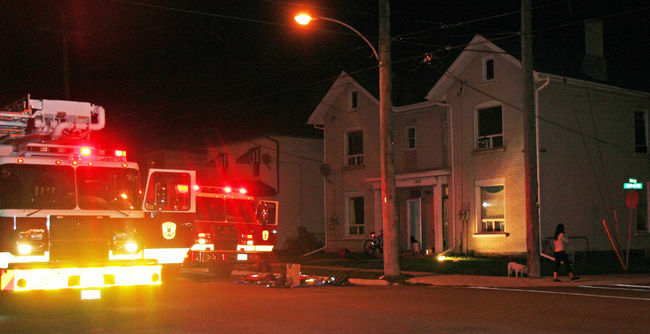 While flames engulfed the house, a five-year-old boy was trapped inside a bedroom. “We actually had to pull out from one area of the house and make an entry through one of the bedroom windows to find the child,” May said. Firefighters rescued the child, and he was transported to a Tulsa hospital in critical condition. Shortly after all four children were safe, investigators began questioning Clement. Police say he is the boyfriend of the children’s mother. Neighbor Carly Jennemann said she saw Clement move in with the mother and children a couple of months ago. Captain May wouldn’t say how investigators determined the fire was arson, but according to Clement’s arrest report, he called and texted his girlfriend numerous times while she was driving home from Kansas. Clement remained in the Tulsa County Jail on Tuesday evening. His bond is set at $170,000, according to jail records.